see that giveaway image on my sidebar?? yup – we’re giving away another Savoring the Seasons with Our Best Bites cookbook!! click on the link in this paragraph or the sidebar image for your chance to enter to win! since receiving this very same cookbook as a gift this past christmas, i’ve been trying out their recipes like crazy! one of my favorites so far is the tuna noodle casserole. so i started making it, and i have to admit, tuna casserole has never felt so fancy! i mean, here i was grating parmesan, sauteing mushrooms, making an actual sauce…for a tuna casserole?! tuna casserole is only reserved for busy weeknights, am i right? not anymore! this recipe seriously blew me away. i LOVED it!! my kids ate everything on their plate (i chopped up the mushrooms and they totally didn’t even know they were in there!) you could taste the tuna but it wasn’t overpowering. the whole thing was fresh-tasting and light, and just…perfect. and as for tuna and i? we’re now bff’s. thanks, sara & kate! psst…this recipe is in their new cookbook, and you should totally enter to win!! 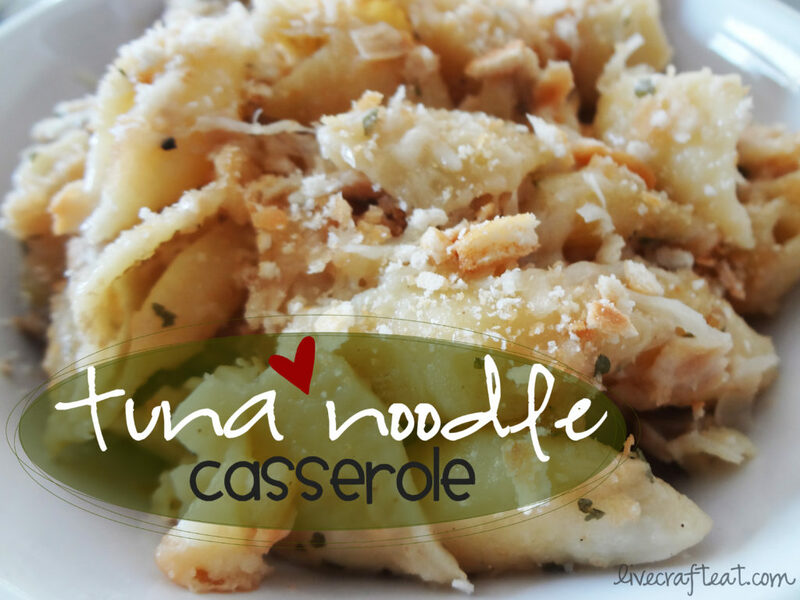 but just in case you can’t wait, i found the recipe on their site…Tuna Noodle Casserole. enjoy! « another Our Best Bites Cookbook giveaway!! I have always felt the same way about tuna and fish in general. But my husband likes it so I’m excited to give this recipe a try. It does sound kinda fancy! yes, do! i think you’ll both love it! I love tuna noodle casserole with cheese and cream sauce, but by your description, I’d probably like this Tuna Noodle Casserole even more. It sounds delicious! i like the cheese and cream sauce kind, too – but yes, this recipe is really, really good!